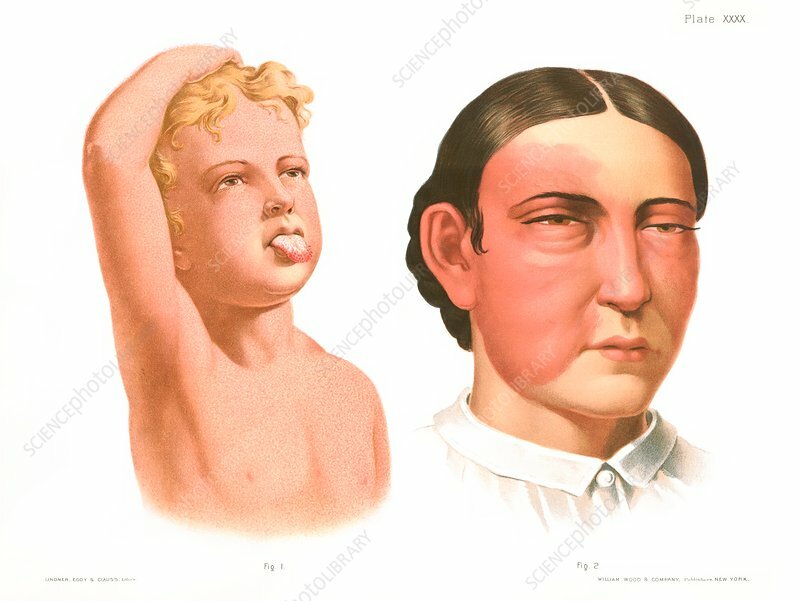 Scarlet fever rash (left) and erysipelas rash (right), historical medical illustration. Scarlet fever mainly affects children. It is caused by Streptococcus bacteria, spread by droplet infection, and causes fever, sore throat and a red rash affecting the torso, limbs and tongue. Erysipelas is an acute infection of the upper layers of skin and lymphatic system, usually caused by Streptococcus pyogenes bacteria. From Atlas of Venereal and Skin Diseases by Prince Albert Morrow, published in 1889.